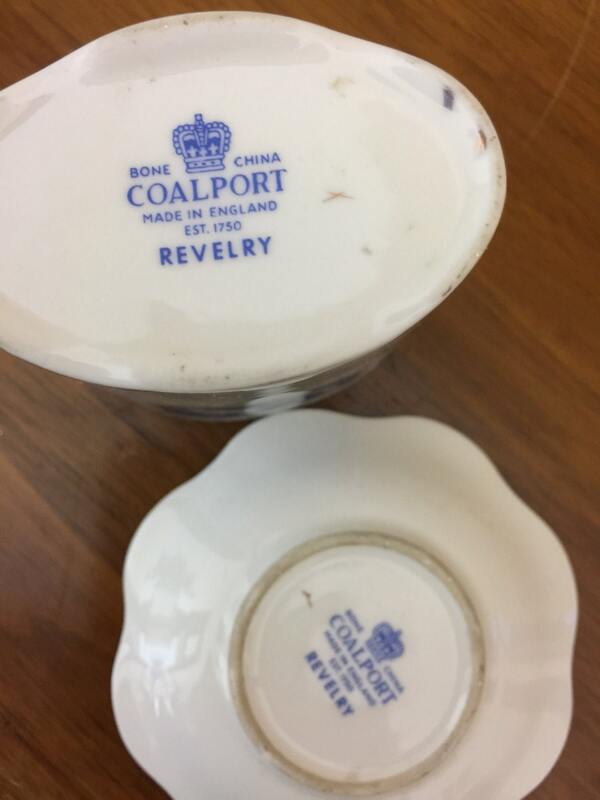 Are you a collector of Coalport? 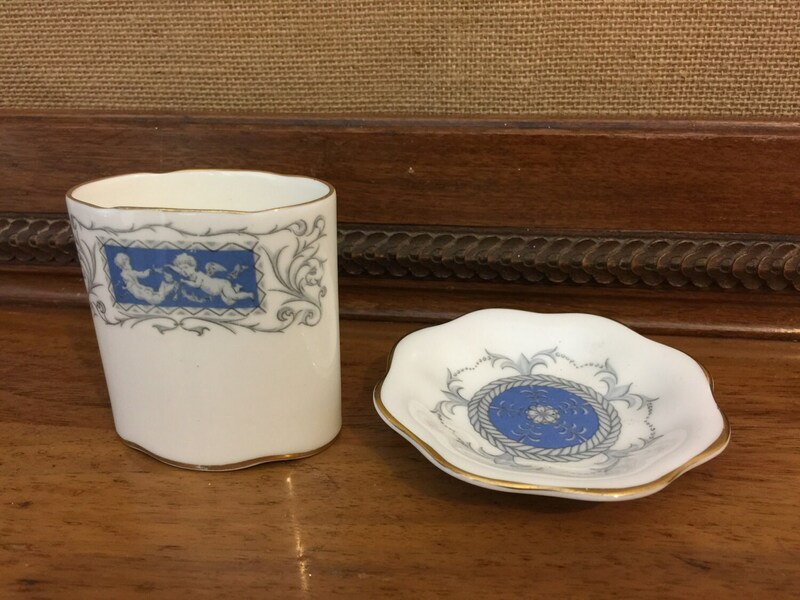 or miniature sized fine bone china? 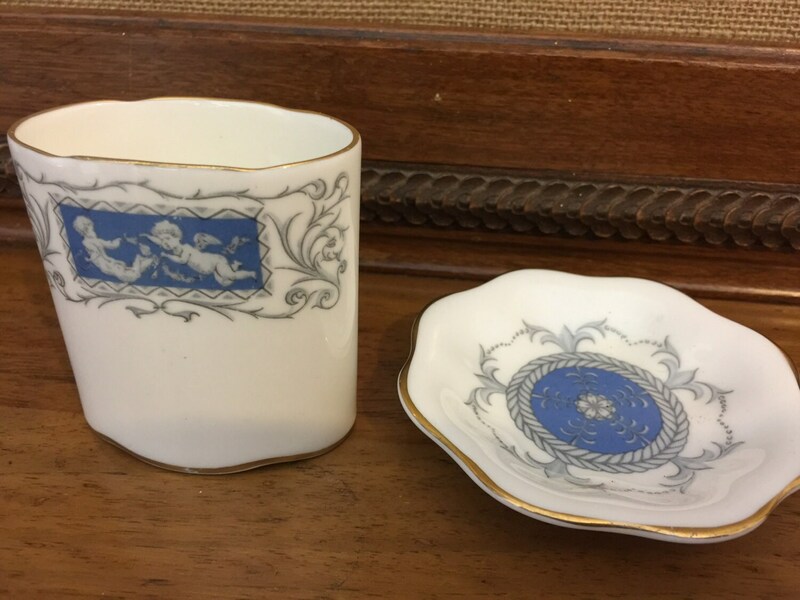 Then you will love these two pretty items. 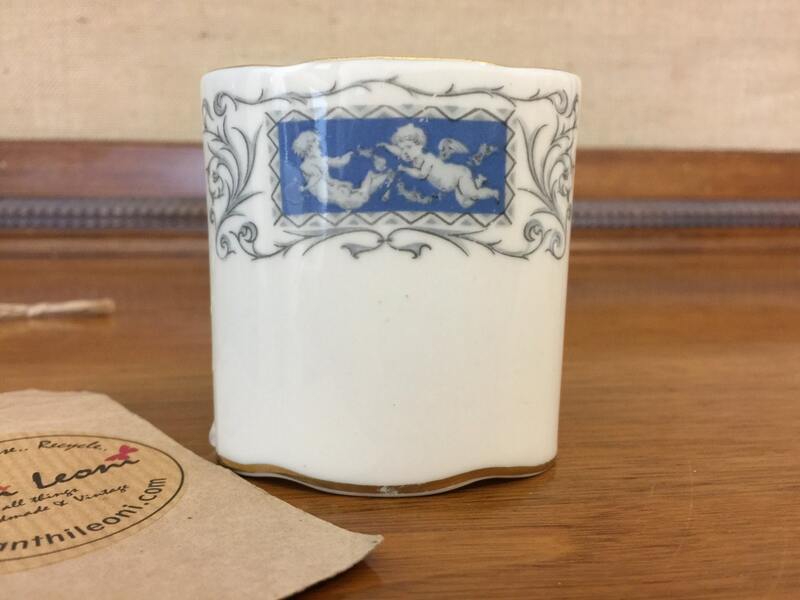 A beautiful pattern with blue panels depicting white cupids. 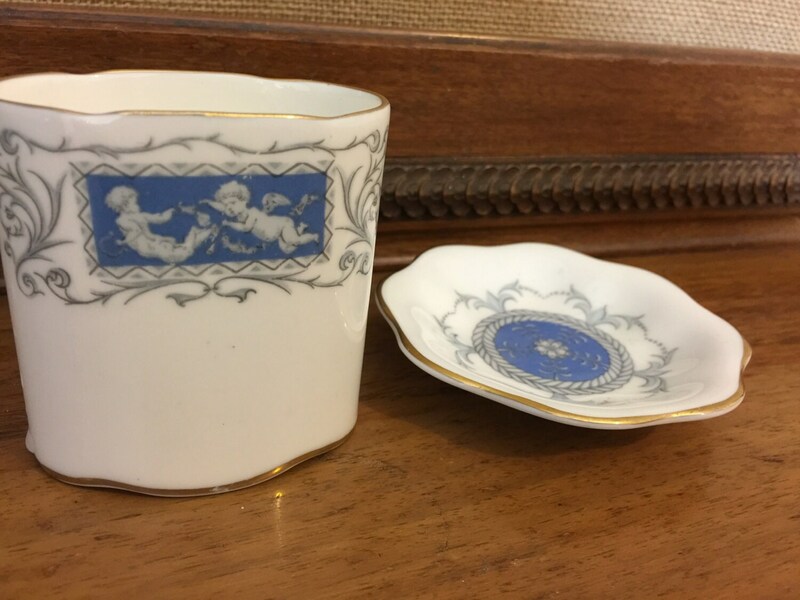 The bottom is stamped with makers mark "Bone China COALPORT Made in England Est. 1750 REVELRY". This particular pattern was made from 1970-93. COMBINED POSTAGE - Please convo me for a coupon if you would like to purchase this along with another item. INTERNATIONAL SHIPPING- Please provide mobile / cell number for courier. Prices indicated for international shipping are an approximation. Please contact me prior to contact with your country so I can quote accurately for shipping and combined shipping.